Weather in Missouri can be violent. (636) 614-8264. We are here to help. Trees are a vital aspect of not only the appearance of your property, they also have a direct impact on the value of your property. Proper care and maintenance of these trees and foliage is an art. 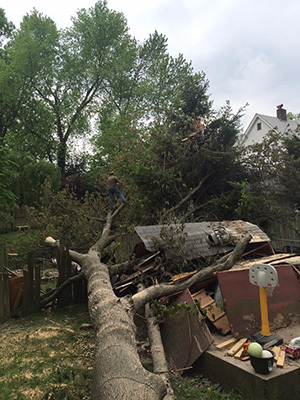 JP Tree specializes in the art of tree maintenance and removal. JP Tree provides quality tree care services at affordable prices. We are family owned and take extreme pride in our quality of service. 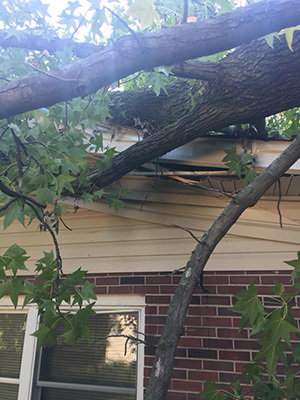 JP Tree is fully licensed, bonded and insured. We service both residential and commercial clients with the goal of keeping your property both safe and beautiful. Our highly trained crew of tree care specialists have the training, techniques and proper equipment to handle all your tree care needs. We complete our jobs efficiently and quickly. Professional cleanup is paramount to any job we handle. We are happy to provide a free estimate, so please contact us either by phone or by submitting a request. Heavy rains, high winds, severe storms and snow can cause major damage to trees, foliage and property. These situations can cause extreme dangers to persons, property and structures. Hiring a professional who has the correct equipment, training and expertise is strongly recommended. 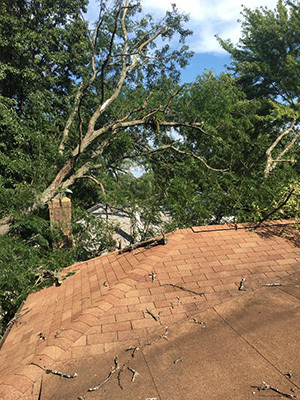 JP Tree has the proper education, experience and equipment to handle any storm damage cleanup and removal. Please call for a free estimate before risking injury or death. Your message has been sent. We will be getting in touch with you shortly.